After working at an editorial production “Engine Room” and an art and design exhibition producing company “H’action”, Takako Terunuma founded her own office Accompany Co., Ltd. in 1991. Since then, she has been involved in curation and coordination of numerous graphic design exhibitions, events and symposia both in Japan and abroad, including “Close-up of Japan in Sao Paulo – Nipponjin” (Sao Paulo Museum) and “ACTIVE WIRE” (Art Sonje Center, Seoul). Her editorial activities include the programme for the opening and closing ceremony at the Nagano Winter Olympic Games, CD-Rom “Mandala Cosmology”, which earned her an Education/ Culture Award at the Multi Media Grand Prix, Packaging Division. She also joint-produced John Maeda’s “One Line Project”. 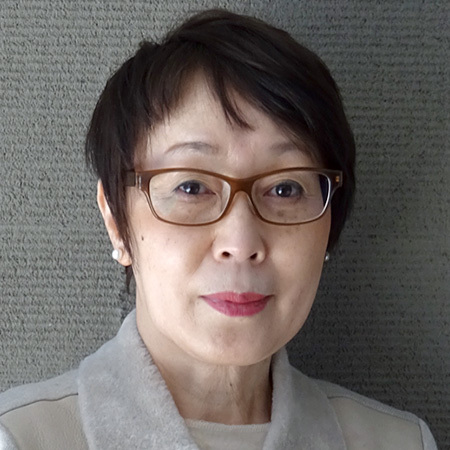 Her current activity is prominently focused on the Tokyo Type Directors Club (Representative: Katsumi Asaba) established in 1987, and she is responsible for operating its secretariat and organizing the international design competition “the Tokyo TDC Annual Awards”. A number of Tokyo TDC exhibitions have been held domestically and internationally. She has tried to look at design from the cultural point of view and always shared pleasure and pain with graphic designers of various generations. She was one of the members who developed the concept for the 2003 Icograda Congress Nagoya, Japan (October, 2003) on the Congress Planning Sub-committee, and was also responsible for its editorial work.